Greatly increase your profits by offering unique prints. Available for direct-to-media printing on any eco-solvent or solvent machine, as well as for a dye sublimation into fabric. The inks glow under a UV light, a.k.a. Black Light, which is widely used for stage decoration, glow-in-the-dark entertainment places, night clubs and so on. Fluorescent prints look vivid under a normal light too. Consistent printing with no head clogging. 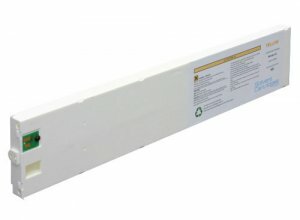 These 440ml cartridges with DST Fluorescent ink can be used on eco-solvent printers: Mimaki, Roland, Mutoh, for printing directly on vinyl media. © 2000 - 2019 Digital Sign Technologies Inc.. All rights reserved. All prices are in US dollars.